You are invited to Kawartha Hiking Club’s Annual Public Hike, at Millbrook Valley Trails! 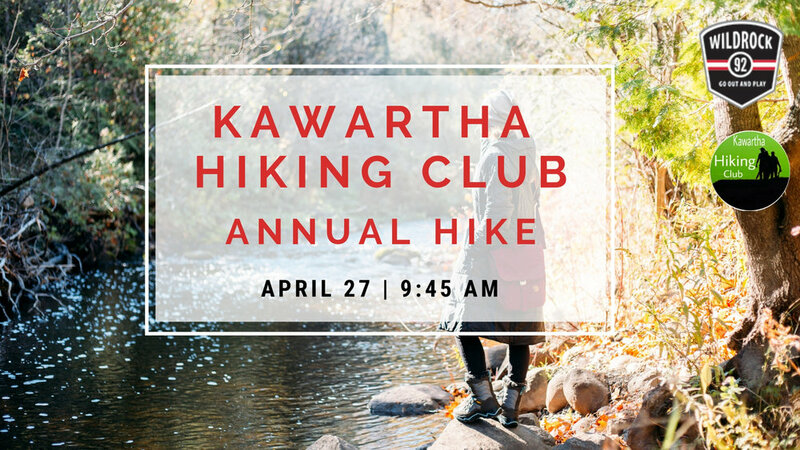 Come join the KHC, Wild Rock and Merrell as we get ready for another great year of hiking and exploring the amazing nature trails in Peterborough and the Kawarthas. There will be two hikes (5km and 9km in length) led by members of the Kawartha Hiking Club that will leave from the trail head at 10am. Wild Rock and Merrell will be providing pre and post hike snacks, beverages, and prizes. Don’t miss out on this fantastic opportunity to get involved with Peterborough and the Kawarthas hiking community!